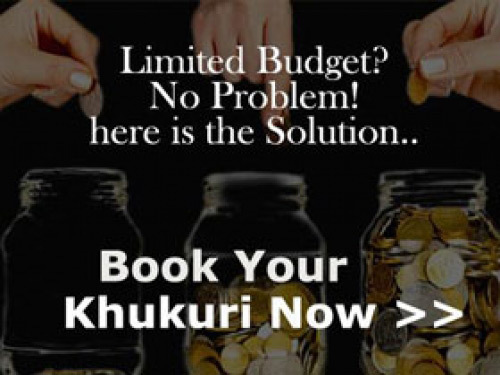 Another modern offering, that takes outdoor Kukri design to the next level..
A Light kukri, can be used easily and swing faster for any utility works. 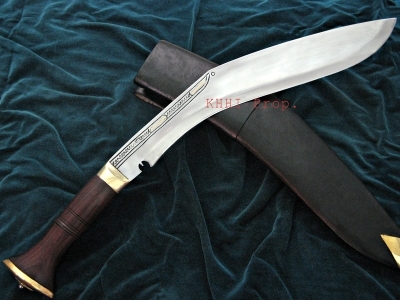 This khukuri can be used for any purpose hence called Light n Fast All Utility Khukuri named as 'Featherweight Champ '. 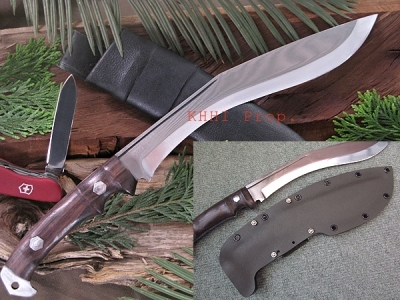 Nicknamed 'Cheetah' to indicate sheer power it can provide due to its major features and overall shape of the kukri indicate to a stretched Cheetah during the hunt. The fastest swing able kukri at KHHI. 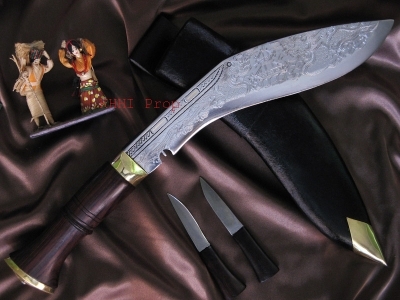 The weight of the blade and handle is just 500 grams. 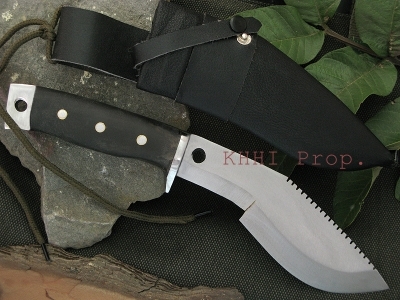 With the addition of the Kydex sheath, this Kukri is an ideal and reliable outdoor companion. 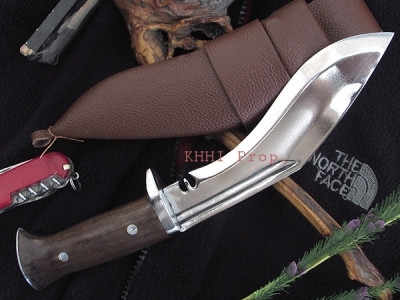 Another modern offering, that takes outdoor Kukri design to the next level. 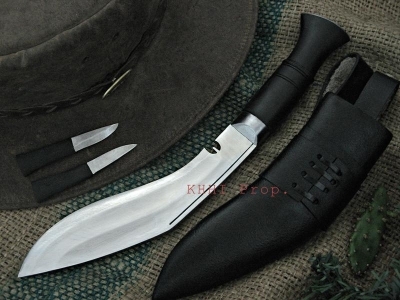 The Cheetah is a lightweight Kukri designed with the hiker, outdoorsman, and survivalist in mind. 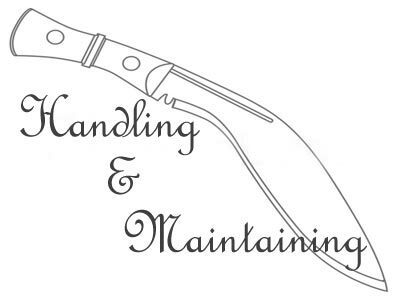 We have designed the handle for maximum strength while being both ergonomic and comfortable. 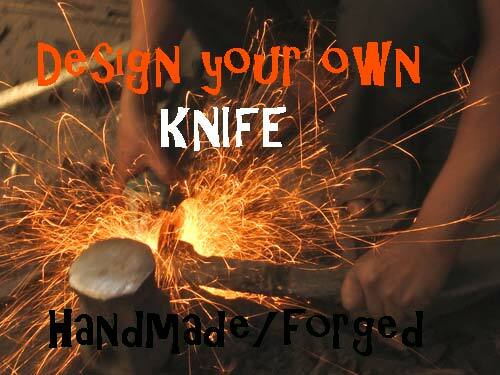 5 inch Handle is full flat tang Panawal for strength and power; Ergonomically designed with a palm swell, to promote optimum finger placement secured by hexagonal screws for added strength Exposed tang has a lanyard loop, and can be used as a makeshift hammer. 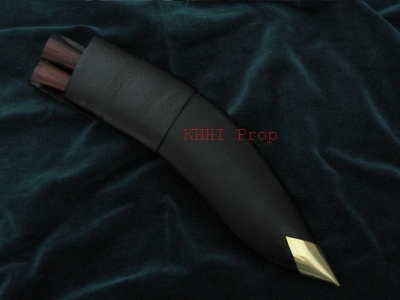 Cheetah has L-key Nut & Bolt FFT riveted wooden handle with extended tang with lanyard hole. The Sheath is made from Kydex a PVC/ Acrylic-based thermoplastic, lightweight, foldable plastic that can be formed to any shape. 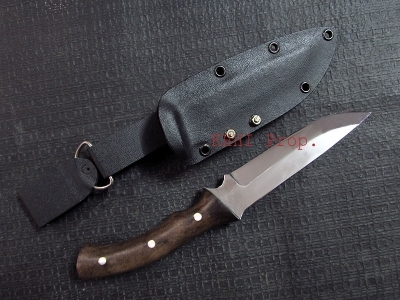 A Kydex sheath is abrasion resistant, waterproof, and most importantly, tough as nails. Our Kydex sheaths are equipped with eyelets so that they can be easily attached to Molle gear or lashed to just about anything. 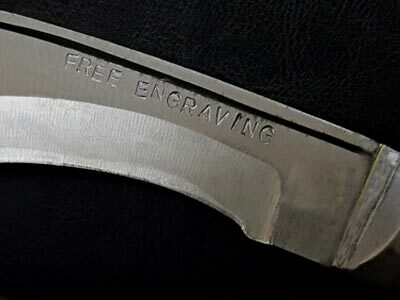 Due to the excellent and secure blade retention, a Kydex sheath can be worn in almost any configuration; horizontally, vertically, or even upside down. They are secured with a screw-on panel or can be worn with the included D-Ring as a low-hanging dangler. 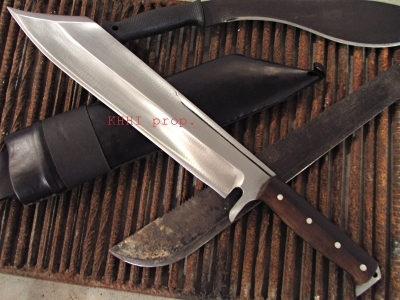 Note: while the Kydex sheath is waterproof, the Kukris are made from high carbon steel, and should be kept dry, or properly oiled. 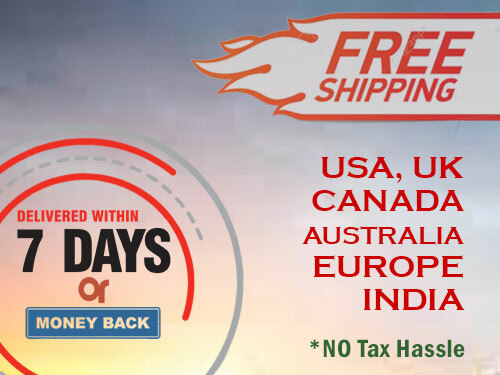 The default sheath comes in Green colour; it’s also is available in O/D green or black colour, our Kydex is 0.06 inches thick and is imported from the United States. Please comment for the color while ordering.